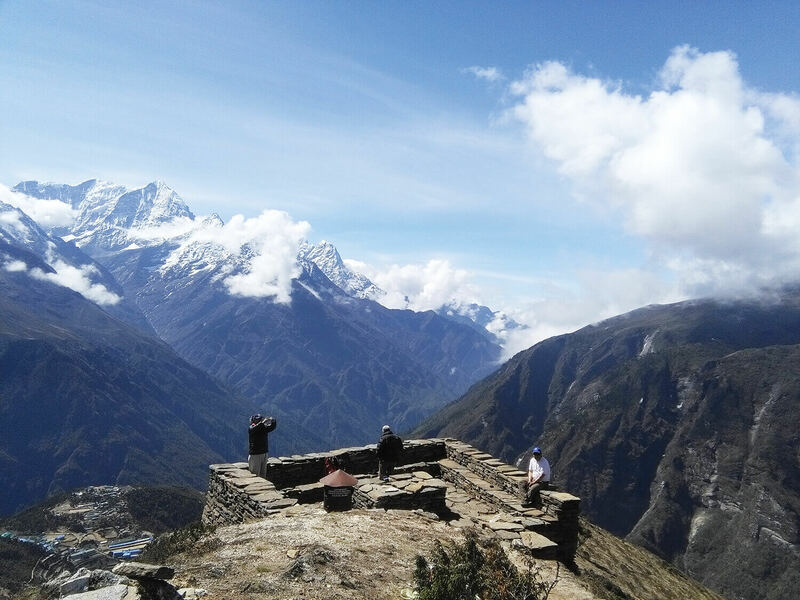 Few places even in the Nepal Himalaya have such a scenic setting as Khumjung, the tranquil village nestled in a gently sloping valley in the lap of the holy peak of Khumbila, and flanked by some of the highest mountains int he world. You might ask yourself: why did I not come here before? 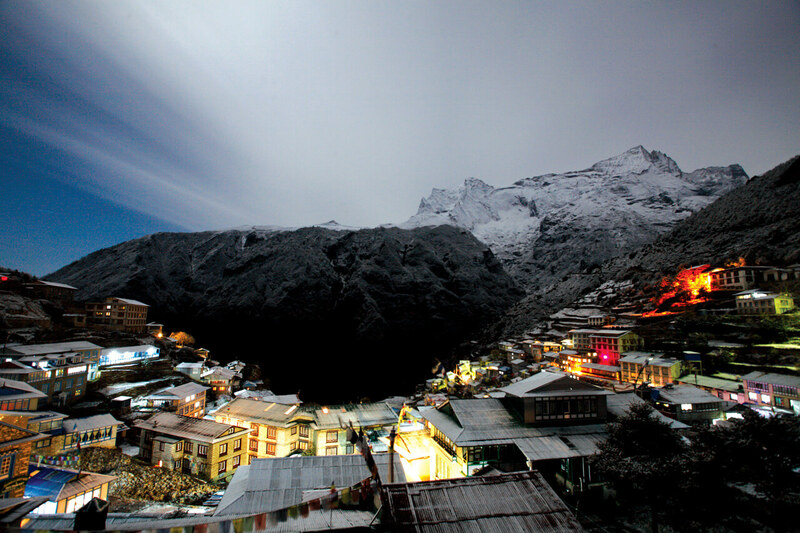 Stand at any point in this clean town of stone homes and chortens, and you have a 360 degree view of the surrounding peaks: Thamserku, Ama Dablam, Lhotse, Chomolungma, Kongde. The local people are friendly and gracious, and the town is spared the throngs of trekkers and mountaineers on the Namche-Tengboche trail. There is a well-equipped hospital and school established by Edmund Hillary 60 years ago. 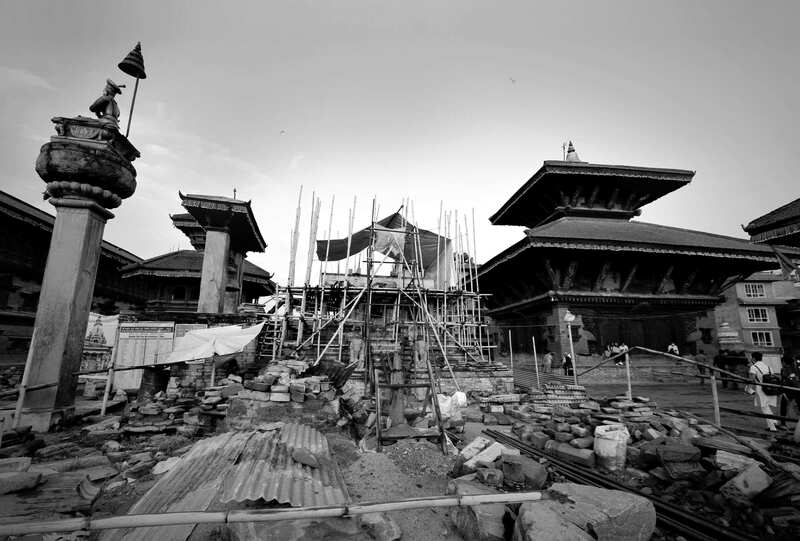 But the beauty and contentment belie the grievances of the local people against the government in Kathmandu. 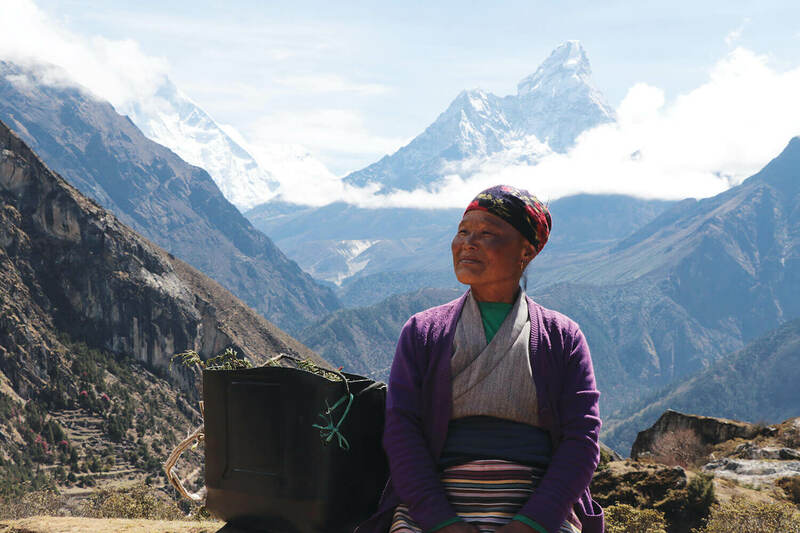 Despite the Khumbu having a much higher standard of living than the national average, people here have always felt neglected by the state. Now, even federalism has failed to satisfy their demand for more say. In 2015, the government decided to earmark at least 30% of tourism revenue for local people. 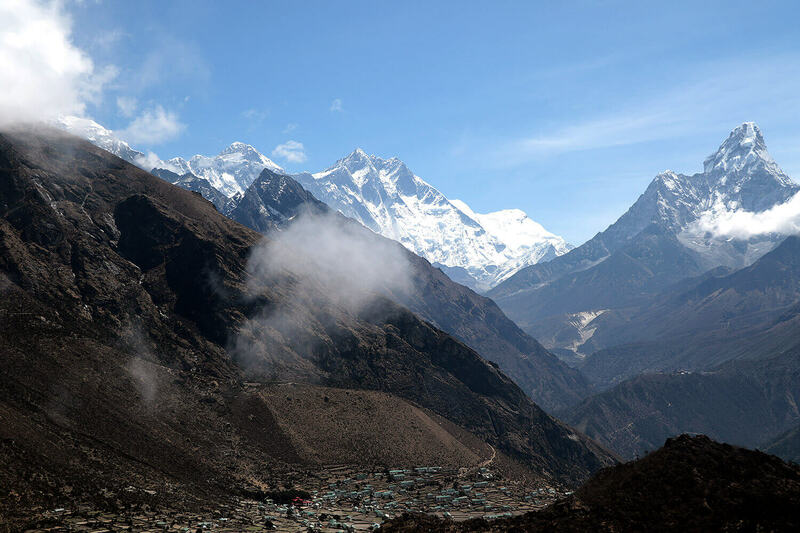 The government collects about Rs350 million annually from Everest royalty fees alone, and an additional Rs70 million from other mountains of the Khumbu region. Khumjung may be a victim of its own progress. Government authorities openly admit that Khumjung does not deserve a 30% share tourism revenue because it is already benefiting from Hillary’s projects. After the three tiers of elections last year, National Natural Resources and Fiscal Commission has proposed allocating 50% of the revenue to the Centre and 25% each to provincial and local governments. But people in Khumjung are suspicious, and wonder if they will get even 25%. Khumjung is reputed as a village of mountaineers including Ang Rita Sherpa who climbed the Everest without oxygen 10 times, Appa Sherpa and Phurba Tashi Shrepa both climbed the Everest 21 times. 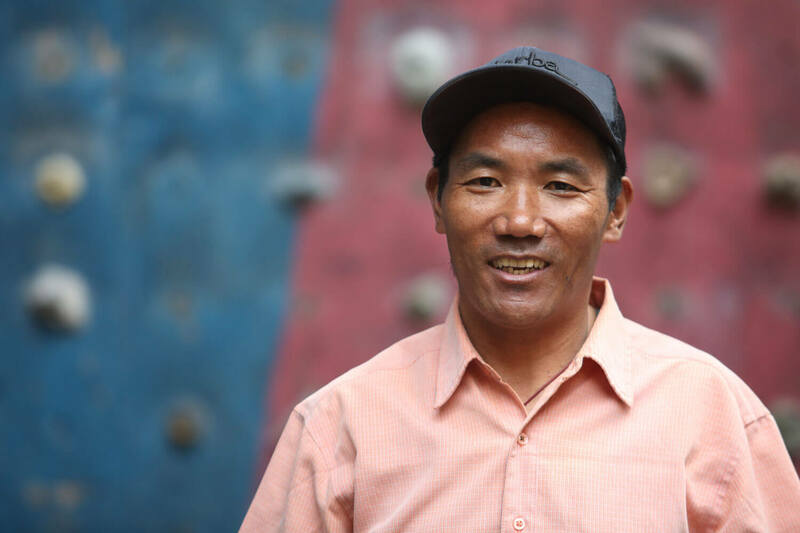 Their world record for most summits was broken by Kami Rita Sherpa, who reached the top of the world a record 22nd time this season. Do you trust the home minister’s drive against tardy road contractors?